Indicated close of Google Inc. sources its intention to build its own airport can officials and staff at Google Inc., to travel from this airport, which will be ready in the coming years, in the Silicon Valley has Google Inc. has allocated $ 82 million for the construction of this airport. As a reminder, the Google Inc. are using the US space agency NASA's Moffett airport for the start of Google aircraft of this airport. 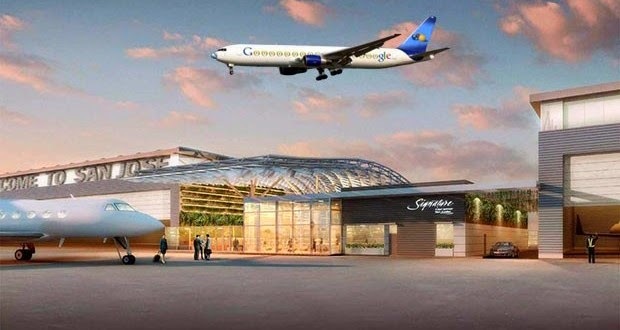 The Google has signed an agreement of the agency to use this airport for 60 years to come and in spite of that, Google Inc., intends to build the private airport. Which will extend the highest of 11.7 hectares and will occupy 380 employees and will receive all kinds of global aircraft. The Google company does not want its employees traveling for business trips to miss any time and where their use of private airport, they will not more than 15 minutes to spend the plane ride and move towards the main destinations.